Pegida UK, which models itself on the German movement of the same name, claims to oppose what it see as the creeping Islamization of the Western world. The name translates as Patriotic Europeans against the Islamization of the West. However, their rally will not go unopposed, as anti-racist group United Against Fascism (UAF) plans to stage a counter-demonstration. 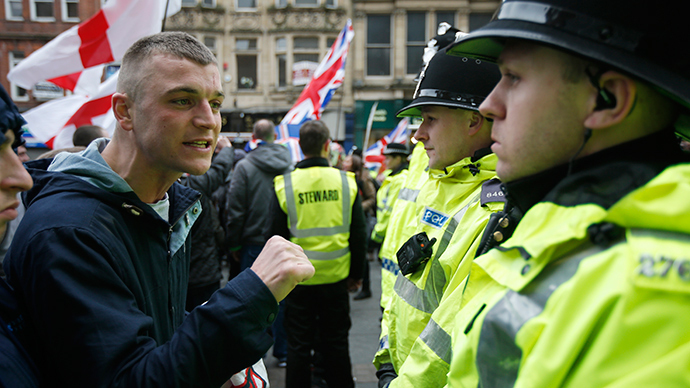 Pegida UK has staged other events, albeit with mixed success. In February this year, the group held its first ever UK march in Newcastle, where they were confronted by a counter-demonstration organized by a coalition of trade unionists and anti-fascists, including Newcastle Stop the War and the University and College Union (UCU). Newcastle resident David Kelly, 33, joined the counter-protest. Speaking at that event, Pegida’s keynote speaker Paul Weston outlined the political aims of the movement to an audience comprised mostly of white middle-aged men holding Union Flags. The counter-demo, which organizers claim numbered up to 3,000, was addressed by left-wing MP George Galloway, Newcastle United footballer Moussa Sissoko, and local Labour MP Chi Onwurah.